Today, IVF is a very popular infertility treatment, with very high success rates as well. However, if a woman has diminished ovarian reserve, it can be a hurdle for her to get pregnant even with IVF, without some additional help. IVF with donor eggs is the ideal treatment for women with few eggs or poor quality eggs, who want to get pregnant. Here is our donor egg IVF guide. It will give you answers to the who, what, why and how of this procedure. Who would require an egg donor? 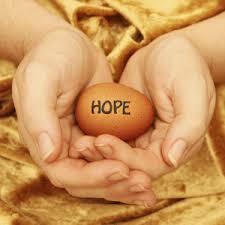 Conventionally, donor egg IVF treatment was used for women who had premature ovarian failure . This isn’t a very common condition and in premature ovarian failure ( POF) , the woman’s ovaries stop functioning as there are zero egg reserves. The commonest group of women who use donor egg IVF today are older women, because they have poor ovarian reserve. In these older women, even if there is some ovarian function , the egg quality and quantity are poor, which means the chances of getting pregnant with their own eggs if poor. These women have to rely on donor egg IVF to become pregnant. With age, a woman’s eggs also age and they aren’t fit to be used in the IVF treatment. If you have gone through a number of failed IVF cycles, it can be an indication of poor egg quality and the IVF doctor may recommend that you consider opting for donor egg IVF. Women who suffer from certain genetic conditions like sickle cell anemia (which can be passed on to your child), can also opt for donor egg IVF. Do I have to get tested? Before you start with the treatment, it’s important that you get a comprehensive medical evaluation; this will tell you whether your body can deal with all the demands of pregnancy. In the event that any abnormalities are noticed, these can be corrected before you start with your IVF treatment. When you opt for donor egg IVF, you won’t have to take fertility injections, which means the treatment is very easy and stress-free.